Tis’ the season to make me curvier and I couldn’t be happier!!! I’m FLIPIN’ happy. My boyfriends are back and…those squishy, mushy,sweet and oh so loveable marshmallow treat. Are YOU happy they are back? Keep calm and PEEP ON! 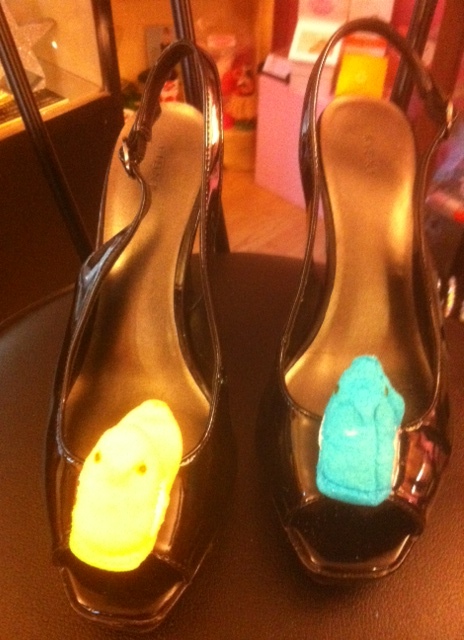 Stiletto’s ~You can have your pumps and eat PEEPS too! 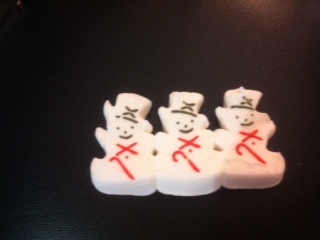 Eating frozen Peeps and wearing them too! Here’s what you can do with any left over bunnies. 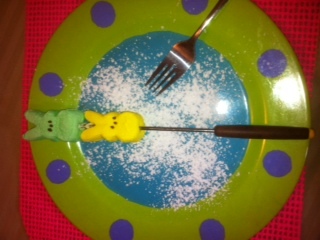 Serve them as Bunnies on the Barbi! Add a little powdered sugar love and you are good to go! 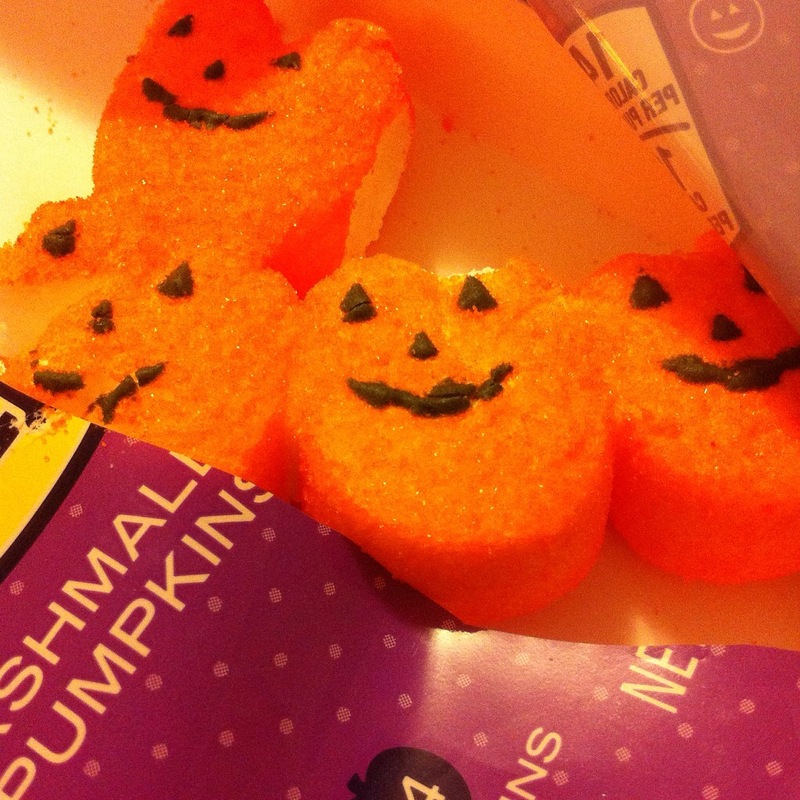 Needless to say…my husband was not amused that this was his dinner last night. So love my PEEPS~ And you? Looking for a few good men tonight? They don’t complain,fun to be around and their simply delicious! Champagne and PEEPS a winning combination!